Losing ranks during a season will no longer be possible, meaning that you can only gain ranks and move up the ladder. Am I reading this right? So ranks will be determined only by the amount of time you play? This means that everybody who plays a lot will eventually reach Pro Peague even with, say, 10% winrate, doesn't it? Exactly, unless you prefer to not only dedicate your entire time to reach pro rank, but also have a decent win-rate at the same time in order to do so. I cant remember exactly how many people were on the pro-ladder, but 600 is what I could remember, implying that only 100 reached rank 0 this season? However, you still need to be in top 500 to stay in pro rank, which has some rewarding elements such as titles you can earn. Also, less try hards in the current season will give you an option to play whatever you like in order to reach pro. Good luck. Spending more time doesn’t matter you still have to rank up. Regardless of the time you play you still have to win. What this mean is you can now play a new deck near the end of a season with the fear of ranking down. Yep, losing mosaic pieces but not rank makes more sense. But that's the problem with CDPR's communication. Even when we get some information, we always have to guess what they meant. Please can you clarify something regarding end of season rank drop. If you finished the season at rank 24, say, would that mean starting the new season 4 ranks lower at rank 28, or would you start at rank 26? Can someone please explain meaning of: "finish the season with ranks 26-30..." ? Isnt ranking now counting down like 5,4, 3,2,1 and 0 meaning PRO Rank? Will there be a way to gain the new border for the season of love? It looks absolutely amazing and it would be a shame if we can't get it. How come I can't play rank on xbox? Its the third season for me, and until now you don’t fixed this. I do not think it is about fixing at all. You can fix something, what was made and what becomes working not optimally. But you can not fix something, what was not made yet. 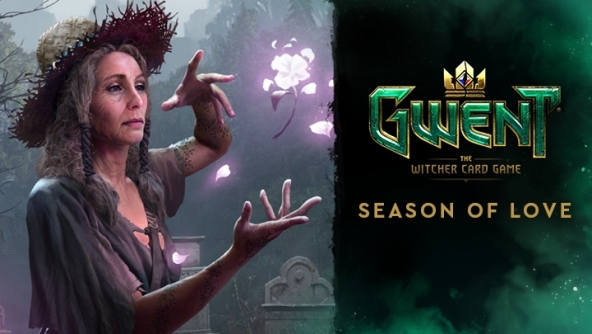 CDPR could release those season reward trees now, but if they would make something not right, it would cause big problems later to fix it. It would have been similar case to coming out of beta. I think, Gwent came out of beta too early. It needed more time to make everything properly. Now I am happy, they are not repeating same mistake and taking time to make seasonal reward trees properly instead of need to fix them later. Who put those fake wrinkles on Isbel? I don't think they were there before. Hmmm actually I think it's her features that have changed.